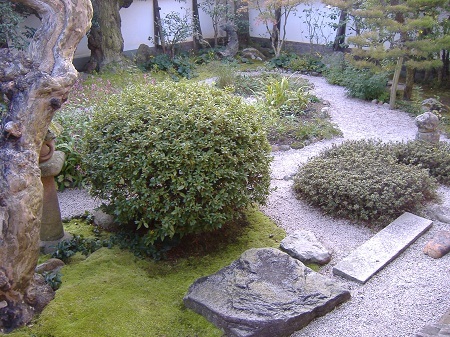 A great writer Lafcadio Hearn, Japanese name Yakumo Koizumi, admired Japanese gardens, and wrote them in his book,” In a Japanese garden”. 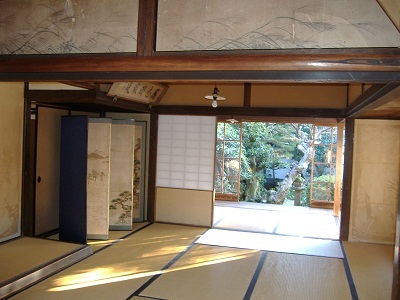 He rented this residence from the Negishi family, former middle class Samurai of Matsue Clan, and lived for about 5 months. This house has 3 gardens. This is South garden. 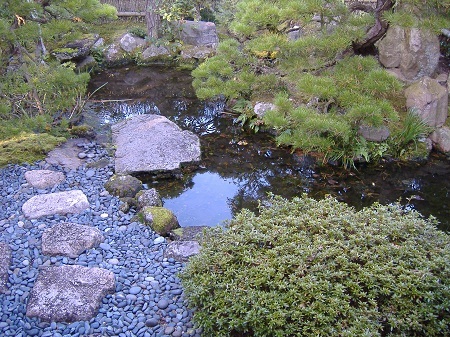 Rocks, stepping stones. stone lamp, trees and others are all allocated as they were in the past. West garden. 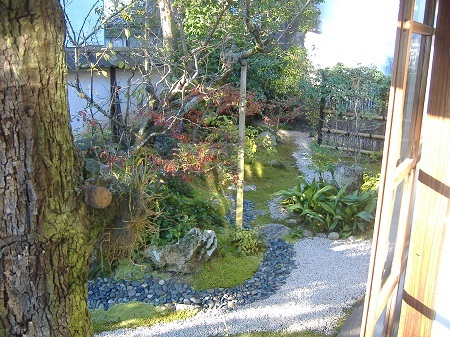 The gardens of this house are dry landscale gardens. They are sit-and see style gardens. North garden. 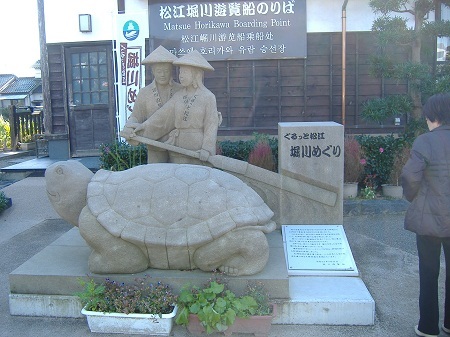 The story says that when Yakumo saw a snake crawling from behind Dozo, a storehouse with thick earthen walls, and eating a frog, he felt pity. He placed meat on a plate taking from his meal, and put it on the stone steps in front of Dozo, then said , “Don’t eat a frog”. The story suggests a warm heart of Hearn. View for South garden from reception room, which was used as bed room or living room by the Hearn family. The desk and chair are replica. Hearn ordered to make this sort of desk and chair by his special order. Hearn lost his left eyesight in his boyhood days, and his right eyesight was very poor. He used this sort of tall desk to keep his face close to the books for reading and writing. Hearn was about 160 cm tall. 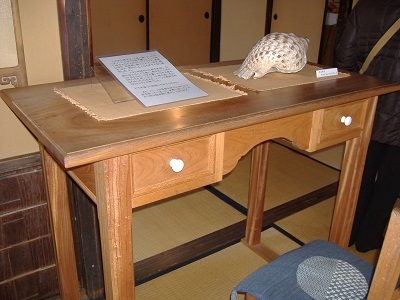 Hearn used Horagai, a conch shell placed on the desk to call his family. 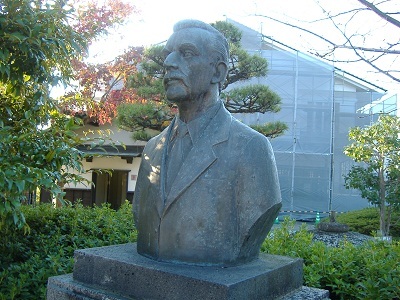 Hearn’s bust installed near the Matsue Castle moat. Horikawa cruising boat starts here. 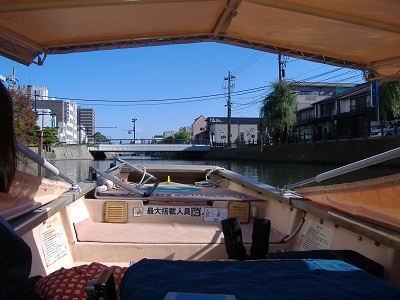 It takes about 50 minutes to cruise in the moat of Matsue Castle, the river and the canal. 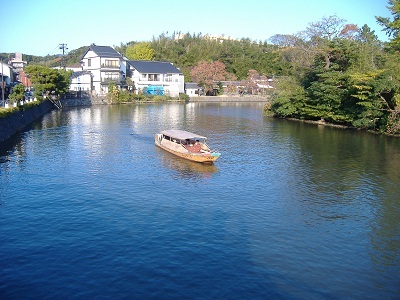 A boat with a small engine cruises in the moat. A boatman carefully steers the boat through the narrow passage under the bridge. 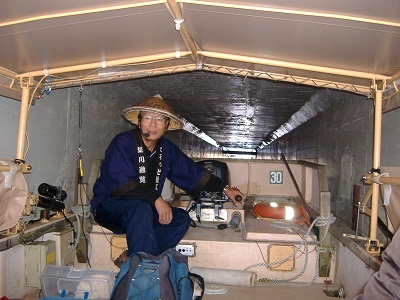 During the winter, a kotatsu, a low table inside a heat source covered with futon is installed. 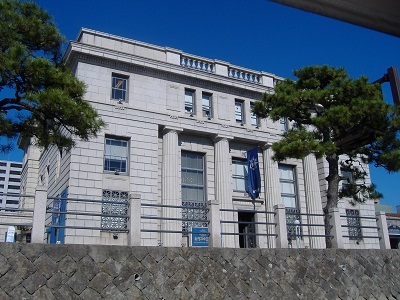 Karakoro Art Museum, former Bank of Japan’s office building. The boat stops over at Karakoro point. 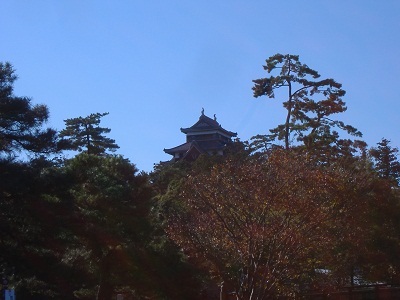 Matsue Castle is viewed from the boat. 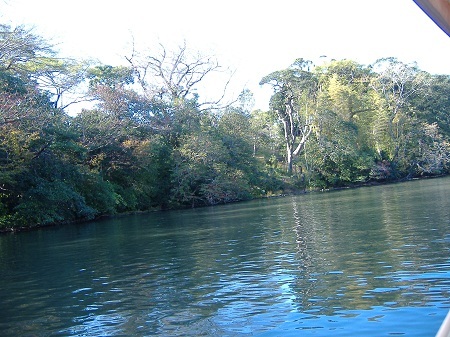 The boat cruises in the wide moat. 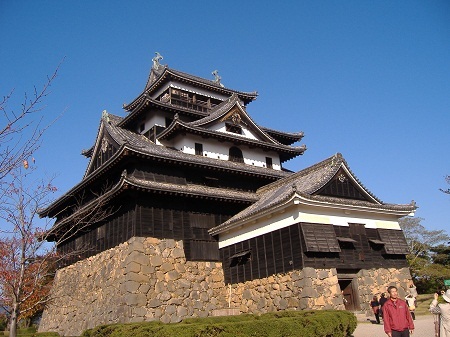 Matsue Castle is designated as a national important cultural property. The stone walls are massive buildings in cyclopean foundation. The castle walls are covered with black planks. This is really a beautiful castle.